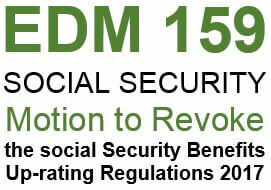 The Official Opposition has tabled a Prayer (EDM159) against the Social Security Benefit Up-Rating Regulations 2017, the Statutory Instrument used by the government last March to withhold the triple lock pension increase from 550,000 recipients living outside the UK. EDM159 was tabled by Labour leader (and APPG Member) Jeremy Corbyn, and co-sponsored by Labour’s Shadow Chancellor, John McDonnell and Shadow Secretary of State for Work and Pensions, Debbie Abrahams. The Motion has already picked up strong parliamentary support, including from all 35 SNP MPs, now led by former APPG Vice Chair, Ian Blackford, and Green Leader, Caroline Lucas. The Motion calls for the Up-rating Regulations to be revoked, the strongest measure possible, as it is now too late for it to be annulled (the request of EDM1097, tabled by the APPG in the last parliament). 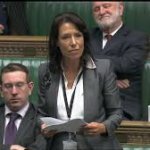 It is hoped that the new motion could receive time for a debate and vote when parliament returns from its summer break. Robert, so many people including the MPs who fail to support our claim for fairness, equality and non discrimination, it seems, have never tested the Government’s claim that the UK Government cannot afford to up-rate all pensions equally. Cost is often claimed as the main reason for not increasing our Expat State pensions. Firstly what is the source of funds for the payment of pensions? Secondly what was the Actuary’s forecast balance of the NI Account in March 2017? Thirdly what is the Prudential balance of the NI Account? Answer approx GBP 16 Billion. Fourthly how much is required to fund the payment of all frozen State pensions fairly and equally? Why can’t the Government find the 600 M from the 23B NI balance? Answer, They argue they would have to borrow that money, for they use/borrow the NI balance to save having to fund other Government activities. So looked at from another angle, how many people are making mandatory NI contributions? Answer over 31+ Million, almost all of whom are required to make NI contributions. GBPs 20/year divided by 50 weeks in a year = 40 pence/week . Consequently if the government was to increase average NI contributions by 0.6%; this would cost the average contributor just 40 Pence per week to be deducted from the average pay packet. What would 40 pence buy in the UK today? Answer, possibly 1/3rd of a litre of petrol or even more ridiculous 1 fag! I hope that puts the Government’s response about affordability into perspective.! So now we have to wait months again for yet another debate( how many are necessary and then a big IF a vote should take place then yet another plastic Government would use the 3 line Whipp to vote against. Words fail me and what a barbaric and totally discriminatory Country we are. Is it possible just for ONCE to put our own British born and raised Britons first, instead of 13 billion and rising each year which goes in Foreign Aid and yes rubbish gets considerable much more treatment than us British people who have paid out NI and taxes all our live and just happen to love their Families in the wrong Country. Yes also posted on the other site on the APPG re: The AGM on 17 July. Yes our main man Ian Blackford is hestill on the APPG, but surely and a big IF there will be a vote, surely it will be up to the individual. However, knowing this plastic Government they will have the 3 line Whipp and instruct “their friends” to vote against this latest EDM. The UDP!!! They state quite clearly that they would want things what they believe in included in policy making and they stated quite clearly they support the frozen pensioner. However, we all know about past promises, promises from all colours of the political divide!!! The Conservatives have, in their agreement with the DUP, stated that uprating will continue for EU pensioners, so they will continue to receive the fully uprated State Pension. (Ad infinitum ?). 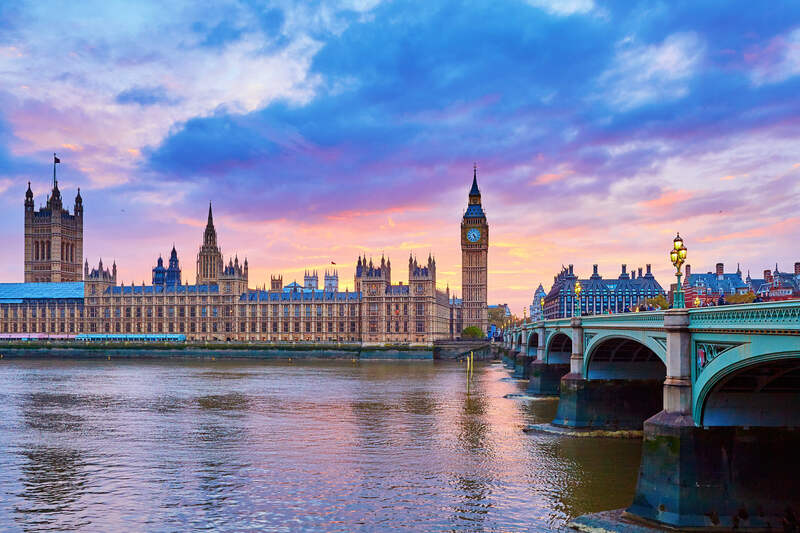 The government does not require any Reciprocal Agreement with other countries to maintain the full payment of the State Pension as that is done by the Pension Act which is domestic legislation. To ensure that that agreement to continue uprating is continued section 20 of the Pension Act 2014 requires to be removed from the Act. (this applies to all pensioners covered from the commencement date of the Act. Other Pension Acts that cover pensioners prior to the 2014 Act will also require an Act deleting any section or regulation imposing the frozen pension policy. This will not uprate existing frozen pensions to the current full pension rate in itself (?). this will need the Act to specifically uprate all pensioners to the current rate. If section 20, (and other regulations/sections pre 2014 act) of the pension Act is not removed and the government only make the uprating agreement apply to the EU pensioners those pensioners in other frozen countries could continue to have their pension frozen by Regulation. The ICBP, and other pensioner groups and individuals state that their campaign is for full parity for all pensioners regardless of where they live. The APPG also support that aim. Although the financial cost of parity for all pensioners is an inappropriate excuse for continuing the frozen policy there is a reluctance by those frozen pensioners to accept any interim steps to the solution of achieving parity. The suggested partial uprating is not a step in that direction and never will be until all frozen pensioners are dead. It is a let out for the government to uprate the EU pensioners. We have pensioners in other countries outside the EU that get the full annual uprating, we have the pensioners living in the UK getting the full annual uprating and will have the EU pensioners all getting the full uprating. Out of the 12 million UK state Pensioners, 11.5 million get the full entitled Pension. The courts have said cost is not an acceptable reason for discrimination. the DSS, the Freedom of Information office, the APPG and the “retired” Pension Minister Steve Webb all agree that Reciprocal agreements are not necessary to uprate or even pay the State Pension. So how can this government continue the discrimination, the unjustifiable persecution of that minority group of frozen pensioners? If pushed the only possible acceptable interim step is probably where the number of frozen pensioners reduces annually, (but not reduced just by death), such as age related uprating. (oldest first), over 4 or at the most 5 years). So, let me get this right. Where there needed to be a law, enforced by the EU, giving uprating of pensions for UK expats living in In the EU, now there will be no need for the law and the U.K. Government will pay the uprating regardless. Wasn’t it the case in the past that the excuse that is given for the uprating of EU pensioners and NOT pensioners living in the Commonwealth countries and other frozen countries was the EU law? “We only up rate pensions where we have a reciprocal agreement or there is a legal obligation” was the continuous cry from the UK Government. Wasn’t it also the case that when Commonwealth countries, Canada NewZealand and Australia requested negotiations for reciprocal agreements, they were turned down on the basis that it would be too expensive? It now seems that expense does not matter and 470,000 expat pensioners living in the EU will continue to enjoy their uprated pensions along with their health benefits, while 500,000 expat pensioners, who I would add, have paid the same NI contributions, are denied their fully paid up pensions. Of course, we all know the politics of this. 470,000 EU pensioners rushing back to the UK and putting the health service and social services under pressure is something to be avoided at all cost and strong representation in the British Parliament will make sure this does not happen. Regrettably the ” frozen ones” do not have the same clout and will continue to be ignored. I say time for a change. Time to let the morally corrupt UK government know who they are dealing with. Time for the Commonwealth governments to stand up and represent its people and demand parity or no trade talks. Time to make one previous UK politician eat his words when he stood up in the house and stated that he was ” Very happy for his government to free load on the Australian Government and allow it to subsidise it’s expat pensioners. Time to ask where the billions of pounds in savings made by the “frozen ones” are being spent. Time for us all to start making a lot of noise and make this morally corrupt British Government play the game. The different treatment of Euro UK pensioners and ex Commonwealth pensioners is a stark injustice. This should be publicized very widely. Is there a representative group for the Euro pensioners? They should be asked if they support this discrimination. Is it possible to get another backbenchers debate as was held on 20th April 2017 (2 days after the election was called) and maybe this time get it to a vote that would not get scuppered by parliament rising. I’m 72 and live in Thailand. I’ve two children, aged 11, and 13. My pension has been frozen and of course it’s value has dropped about 20% since Brexit. A double whammy. I’ve written to 10 Downining Street, 11, Downing Street, HM The Queen and got nowhere. The standard reply from the Works and Pension Dept is We’ve met all our legal obligations. I say they’ve MORAL obligations. They have to be psychopaths to continue with this indefensible policy. I’ve been using Twitter, Instagram and of course YOUTUBE to publicise this injustice. I have to be honest and say that there is very little or no interest in raising FROZEN pensions. UK based citizens are having their benefits cut and or changed continually over the years, and of course we are thousands of miles away and can’t really get our voices heard, or taken seriously. It’s a case of “Out of sight, out of mind” and then many of us don’t have the vote any more. I’ve been here in Thailand for about 17 years. The UK Govt. has no intention of changing Frozen Pensions unless it has no other choice. We have to publicise this over the internet as much as we can. OK, it’s the MP’s that have got the power to change this situation, so we must target those. Another point is the UK Govt is free loading off the Ausy taxpayers. Apparently Australia does top up the UK Expats UK old age pension. I’ve only learned about this about a week ago. Can anyone confirm this for me ? Oh, and does the Canadian and New Zealand Govt. top up their UK Expat old age pensions. If they do, then that may give them some leverage in any trade negotiations with the UK, after Brexit. But that still leaves many of us high and dry. On my own website I’ve a list of Frozen and Unfrozen countries and you’ll see that there are dozens that are not in either Canada or Australia. Labour and the SNP seemed to be saying they would unfreeze our pensions, but they had the chance to do it many times over the years and have NEVER acted. Simply because nobody was making a big fuss about it. Publicity is the key to solving this. So, use Twitter, Youtube and anything else you can think of and of course ask people who are living in the UK to help by telling their own MP about our problem.